Provide comfort for the family of James Griffin with a meaningful gesture of sympathy. Mr. James Kenneth "Kenny" Griffin, age 83, of Vevay, Indiana, entered this life on November 4, 1935, in Rushville, Indiana, the loving son of the late, Jerry and Alta Mae (Johnson) Griffin. He was raised in Switzerland County and was a 1954 graduate of the Patriot High School. Kenny was inducted into the United States Army on June 4, 1958, in Louisville, Kentucky, serving during the Vietnam War. He earned the Good Conduct Medal and was honorably discharged with the rank of Specialist 4th Class on May 31, 1964 at Fort Lewis, Washington. On April 27, 1957, at the Ruter Chapel United Methodist Church in Vevay, Indiana, Kenny was united in marriage to Verlie Ann Buchanan. This happy union was blessed with two sons, Dana and Dale. Kenny and Verlie shared over 55 years of marriage together until she passed away on September 8, 2012. Kenny was employed as a technician and supervisor for Fernald Plant in Ross, Ohio, for 10 years and for Monsanto Plant in Cleves, Ohio, for one and a half years. He was employed as the maintenance coordinator for Dow Corning in Carrollton, Kentucky, retiring in 1996, after 30 years of service. Kenny served on the Switzerland County School Board from 1982 - 1988, Switzerland County School Endowment Board from 2002 -2006 and Switzerland County Council from 1990 - 2006. He was a charter member for the board of directors for the Switzerland County YMCA from 2000 - 2002. Kenny was a member of the Vevay American Legion Post #185 where he served as past commander from 1988 - 1989, on the house committee for two years and as the finance officer for two years. He was currently the post adjutant from 2012 - 2018, finance officer for the bar account and treasurer for several years. He was also a member of the Vevay VFW Post #5396 and the Switzerland Masonic Lodge #122 F&AM. He was a former member of the Patriot Methodist Church in Patriot, Indiana. Kenny resided in the Vevay community since 1969. Kenny will be remembered for his love of hunting, fishing, playing euchre, and coaching little league ball for nine years. Kenny enjoyed raising cattle on his farm in Vevay, Indiana, from 1972 until present, driving around town and socializing with his family and friends. Kenny enjoyed his daily visits to the Vevay American Legion Post #185 where he enjoyed socializing and helping in the daily events and activities. Kenny passed away on Monday, December 10, 2018, at his residence in Vevay, Indiana. Kenny will be deeply missed by his sons, Dana Griffin and his wife, Rhonda of Vevay, IN and Dale Griffin and his wife, Jackie of Rising Sun, IN; his companion, Jane Osborne of Vevay, IN; his grandchildren, Scott Griffin and his wife, Danielle of Vevay, IN, Shane Griffin and his wife, Megan of Vevay, IN and Taylor Griffin of Rising Sun, IN; his great-grandchildren, Kellen, Kenna and Harper Griffin all of Vevay, Indiana; his step-granddaughter, Elizabeth Gough and her husband, Sam; his step-great-grandchildren, McKenzie Ferrari, Kaylee Ferrari and Riley Zeiner; his brother, Gerald Griffin and his wife, Carol of Priest River, ID; his half-sister, Rita Welch of Carollton, KY and Shirley Griffin of Milan, IN; his-half-brother, George Griffin and his wife, Candy of Selma, NC and his several nieces and nephews. 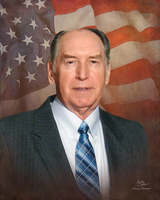 He was preceded in death by his wife, Verlie Ann (Buchanan) Griffin, died September 8, 2012; his parents, Jerry and Alta Mae (Johnson) Griffin; his step-mother, Jeanette (Browning) Griffin; his brothers, Charles Robert Griffin and Paul Eugene Griffin; his sisters, Dorothy Gillispie and Dolly Bowling; his half-brother, Jerry Eugene Griffin and his sister-in-law, Hazel Griffin. Friends may call 4:00 p.m. - 8:00 p.m., Friday, December 14, 2018, at the Haskell & Morrison Funeral Home, 208 Ferry Street Vevay, Indiana 47043. Masonic Services will be conducted at 7:30 p.m., Friday, December 14, 2018, by the Switzerland County Masonic Lodge #122 F&AM at the funeral home. Funeral services will be conducted Saturday, December 15, 2018, at 11:00 a.m., by Rev. Mike Jones at the Haskell & Morrison Funeral Home, 208 Ferry Street Vevay, Indiana 47043. 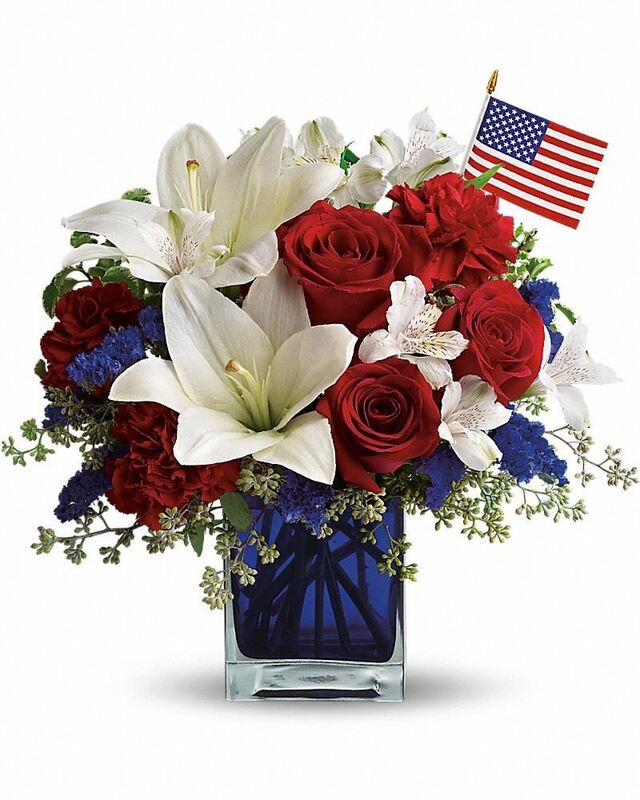 To send flowers in memory of James Kenneth "Kenny" Griffin, please visit our Heartfelt Sympathies Store. Full Military Rites will be conducted by the Honor Guard of the Vevay American Legion Post #185 and the Vevay VFW Post #5396 in the Vevay Cemetery, Vevay, Indiana. The Haleys. Ron, Glenna, Zach, and Samantha sent flowers to the family of James Kenneth "Kenny" Griffin. The Haleys. Ron, Glenna, Zach, and Samantha purchased flowers for the family of James Griffin. Dana, Dale and family, Kenny's contributions to an extremely successful start-up and operation of the Dow Corning plant those first 30 years were significant. He quietly got things done and was admired by all co-workers. It was my pleasure to have been a part of the initial start-up and operation of the Carrollton plant with folks like Kenny. Rest in peace, brother F&AM and friend.